This essay is a beautiful example of formal writing that flows in an almost poetic tone. Syntax is the rules of grammar. It is the arrangement of words to form great sentence structures in a language. It is the set of rules by which we measure good writing in terms of Prescriptive Grammar. This essay was written by a guest blogger—my dear wife, Lori Biddulph. It gives a very interesting and detailed look at the use of syntax in great writing. I know this essay will most likely only appeal to the grammarians in the audience; however, I would encourage writers of all kinds to read this essay because I think you`ll learn something valuable. Enjoy. The name of J.R.R. Tolkien has become synonymous with epic tales of high adventure and heroism. Scarcely anyone may be found to have not seen the movies of The Lord of the Rings trilogy and now more recently, The Hobbit. What some fans may not know is the roots of these inspiring and beautiful stories. These roots are found reaching deep into the history of language itself; the very sounds, rhythms, and nuances of meaning that envelope each word that has passed over the lips of our Indo-European ancestors are the stones with which Tolkien built worlds and histories for those worlds. “In the beginning the Elder Children of Ilúvatar were stronger and greater than they have since become; but not more fair, for though the beauty of the Quendi in the days of their youth was beyond all other beauty that Ilúvatar has caused to be, it has not perished, but lives in the West, and sorrow and wisdom have enriched it” (49). The first thing Tolkien does is set the time frame, which is deep into the ancient past. He does this with the prepositional phrase “in the beginning,” which functions as an adverb of time. The allusion to the biblical creation narrative is effective here. This phrase places the following main clause into its proper context. Tolkien is letting the reader know that he is speaking of the deepest past, and a tone of reverence is conveyed by his reference to the book of Genesis. The main clause is a BE pattern with a compound predicate adjective. This is an interesting set up. Tolkien states that “the Elder Children were stronger and greater” and then holds the next predicate adjective for last. He does this by embedding another adverbial phrase, this one by introducing the comparative conjunction “than.” Tolkien is admitting that the Elves have weakened some over time by stating “than they have since become.” “Have become” is the main verb phrase in this adverbial clause. To increase the feeling of time passing, he modifies the verb with the adverb “since.” He then finishes the interrupted predicate adjective phrase with “but not more fair,” delaying it so that the reader’s focus is directed to the central theme of the entire sentence—the beauty of the Elves. This particular adjective phrase is slightly more complex than the previous adjectives and thereby of greater importance. The phrase is enclosed with a semicolon and a comma as if it were meant to function as a conjunctive adverb. This appears to be aesthetic and primarily for emphasis as well as clarity because the words that follow the comma introduce the next clause of the sentence. Following the introductory conjunctions is a noun phrase subject containing the theme of the entire sentence. “The beauty of the Quendi” contains an embedded prepositional phrase functioning as a genitive. The tree diagram demonstrates Tolkien’s layering of prepositional phrases to build up the subject of the clause. The prepositional phrases contain an almost musical rhythm. The Quendi’s beauty would be too concise, seeming almost inconsequential; whereas, “the beauty of the Quendi” establishes a slower more deliberate beat, encouraging reflection. The phrase also plays the role of giving the Elves a name. The first clause introduced them as “the Eldar Children of Ilúvatar.” This supports the previous argument that “for” alerts the reader to pay attention. First Tolkien lays out a brief history—where the Elves originated and their antiquity. He follows with more descriptions, using prepositional phrases to layer and build. Using another BE form pattern with a complex predicate adjective containing another prepositional phrase, a relative clause, and finally an infinitive phrase. The subject relates information about the age of power for the Quendi, which was “in the days of their youth,” two prepositional phrases compounded. This is followed by the past tense BE form, “was,” and then the prepositional phrase “beyond all other beauty.” The use of “beyond all other” eliminates any ideas that there could be anything more captivating. 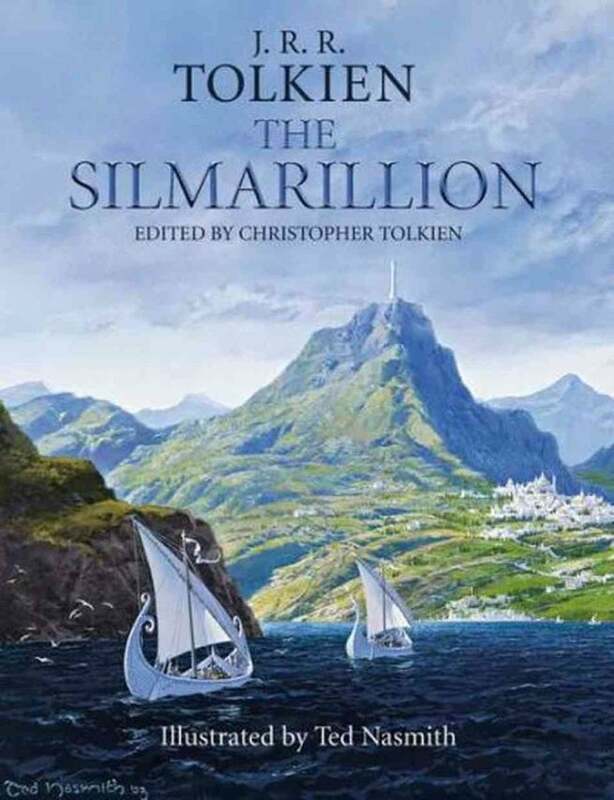 This lights a fire to the imagination of the reader, who is then rewarded with the powerful relative clause “that Ilúvatar has caused to be.” The infinitive phrase, “to be,” is compelling as the direct object of the main verb “has caused.” The main verb is in the present perfect aspect, signifying that the act is completed; however, the infinitive “to be” beautifully demonstrates Ilúvatar’s power to bring life into existence out of himself, as “the offspring of his thought” (3). “To be,” as an infinitive, has no tense—it is not caught in time. Using such language relates a sense of the eternal, and of a power outside of the realm of reason where words often fail. This entire clause is adverbial, modifying the following clause, another main clause of equal value to the first. Professor Tolkien arranges his sentence structures in such a way as to place emphasis on the vital parts of the theme. The next clause, which is independent and modified by the previous subordinate adverb clause, begins with the pronoun “it.” The modifying adverb clause established “it” as “the beauty of the Quendi,” which is more beautiful than anything else Ilúvatar has ever created. Now Tolkien explains why time may have diminished some of the power and greatness of the Eldar Children but not their beauty. There are two independent clauses telling of the current state of this beauty. Tolkien reassures the reader that the beauty “has not perished but lives.” He doesn’t merely state that the beauty lives. The words, “it has not perished” speaks to the reader’s fear that time must destroy something so good. It’s as if the narrator, or Tolkien, reaches out and embraces the reader with his words in order to prevent despair. “Has not perished” is in the present perfect aspect, indicating a completed action that still holds true in the present. He then reinforces this truth with the elliptical phrase, “but lives in the West,” in which the main verb is in the present tense. These minor differences in tense and aspect alter meaning dramatically. If Tolkien had chosen to write, “but has lived in the West” continuing with the present perfect aspect, the reader may question whether the survival of the beauty may yet be in danger of being lost or forgotten. Rather, he changes to the present tense indicating otherwise. He then goes on to finally explain how this has come to pass. Another independent clause follows connected by the coordinating conjunction, “and,” again, indicating equal importance. Tolkien writes, “sorrow and wisdom have enriched it.” Time has destroyed much throughout history bringing with it sorrow and pain, but much to the reader’s joy, the beauty that Ilúvatar created so long ago has only grown finer and more beautiful in response to the trials that the Eldar Children have endured. It is a simple statement, explaining the reason why Tolkien drew the reader’s attention to the fact that the Quendi were curiously “not more fair” when Ilúvatar “caused” them “to be.” Everything else has declined but the beauty. Also, Tolkien’s assertion that “sorrow and wisdom” have only proved to “enrich” Elvish beauty provides a deeper meaning to what the source of beauty is, which transcends the physical. The Silmarillion contains many complex sentences such as the one analyzed here. Tolkien takes a simple BE pattern sentence and creates a musical of words by incorporating prepositional phrases in a layering pattern. He also inserts adjectival and adverbial phrases so that the reader is gently forced to slow down at certain points in the sentence for reflection. For instance, when Tolkien used adjectives describing the Eldar Children in the first clause, he then interrupts them with an adverbial to give the reader pause. He immediately follows it with a more complex adjective containing a negative and an indefinite article as an intensifier. These techniques allow the reader time to absorb the meaning of the words while the musical rhythm that naturally occurs serves to convey the tone of the work. The tree diagram demonstrates the layering effect of Tolkien’s prepositional and adjectival phrases. The RK diagram underscores the role of the conjunctions as well as the relative clause containing the infinitive “to be,” which is elevated on a pedestal next to the relative pronoun “that.” This elevation, though coincidental, is appropriate considering this small but powerful phrase, is arguably the most important one in the sentence. Tolkien, J.R.R. The Silmarillion. Ed. Christopher Tolkien. New York: Ballantine Books, 1979. Print. Next Writers, Are You Getting Crickets or Comments? Hi Lori, I am new here to the community of Two Drops and have just discovered your post. Your love of words, as well as their history and proper grammatical placement and use, is certainly evident in this very interesting read! My favorite English teacher in high school insisted we read and report on “The Hobbit.” I remember being fascinated with the world that language could create. Although she also was quiet a grammarian, I don’t recall her teaching from the perspective you’ve given of the “beauty of the syntax. Scott was quite right, I have indeed learned something valuable and see how much more there still is to learn! Thank you!